Words and Music attributed to Rev. Richard Smart (or Smerte), Rector (1435-1477) of Plymtree, Devon, and vicar-choral at Exeter Cathedral (1428-ca. 1466). The time of composition was during the reigns of Henry VII or VIII; it was found in the "Ritson Manuscript," British Library, MS. Addit 5665, fol. 5, v0. Music: Attributed to Richard Smert, Devonshire, circa 15th Century. Tydyngs gode y thyngke to telle. 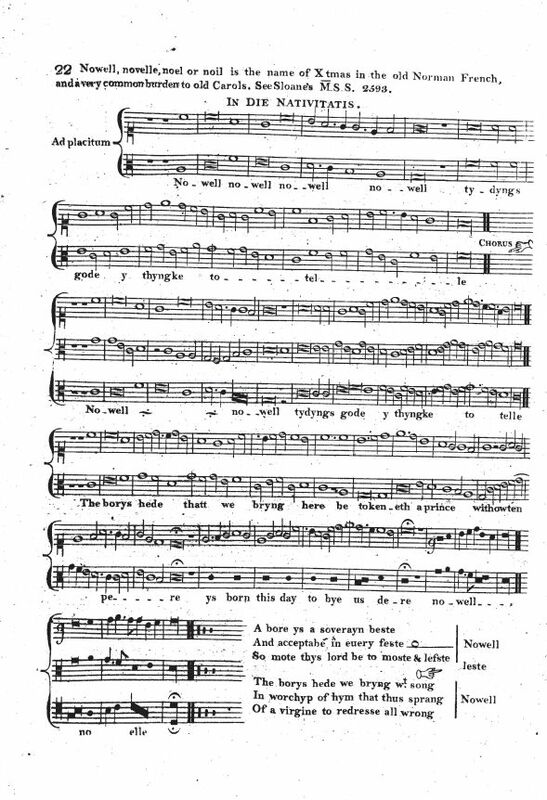 Sheet Music from John Stafford Smith, Musica Antiqua. Vol. 1. (London: Printed & Sold by Preston, 1812), #22. "The boar's head that I bring here." 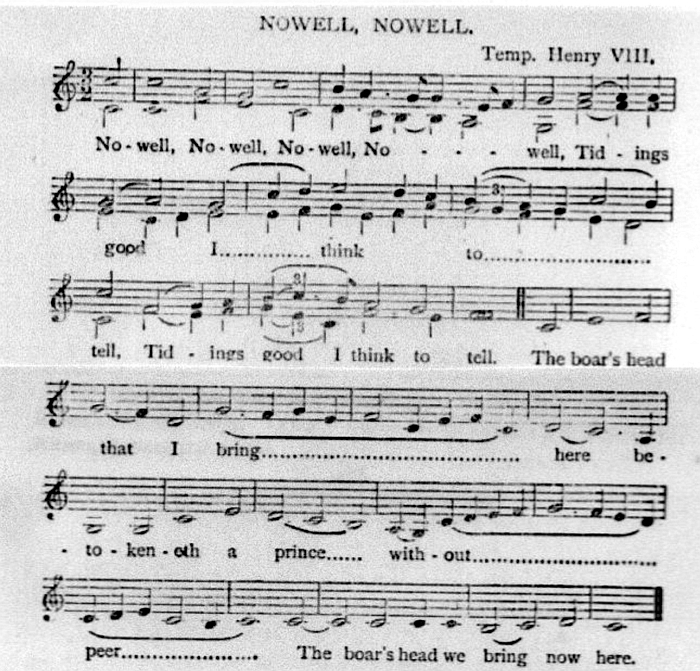 For notes concerning this carol, please see The Boar's Head, That We Bring Here (Husk, 1868).